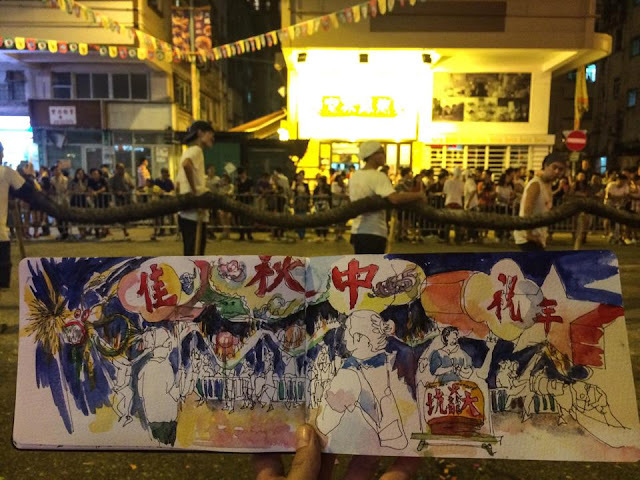 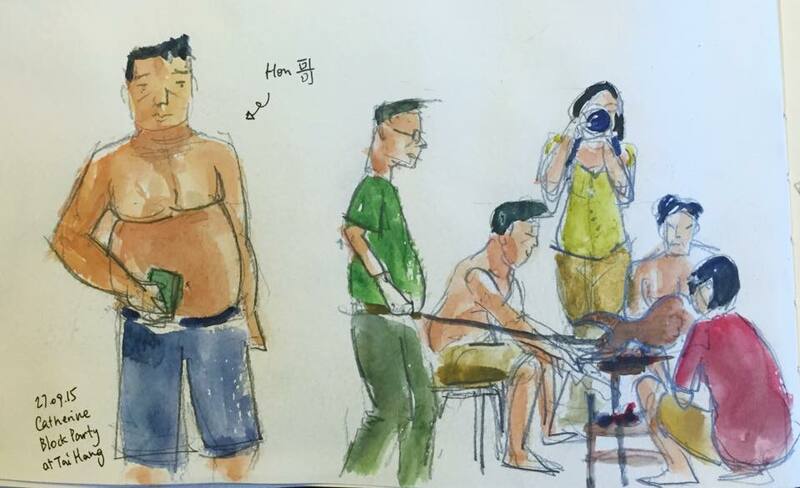 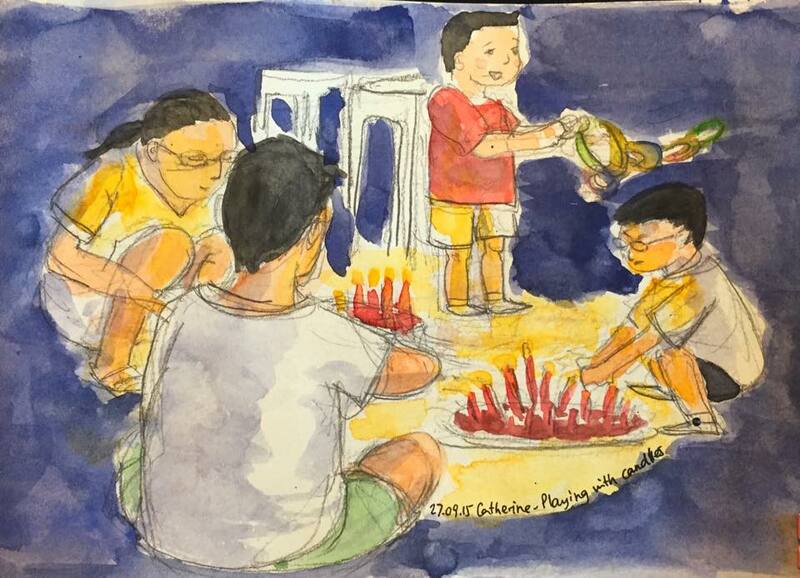 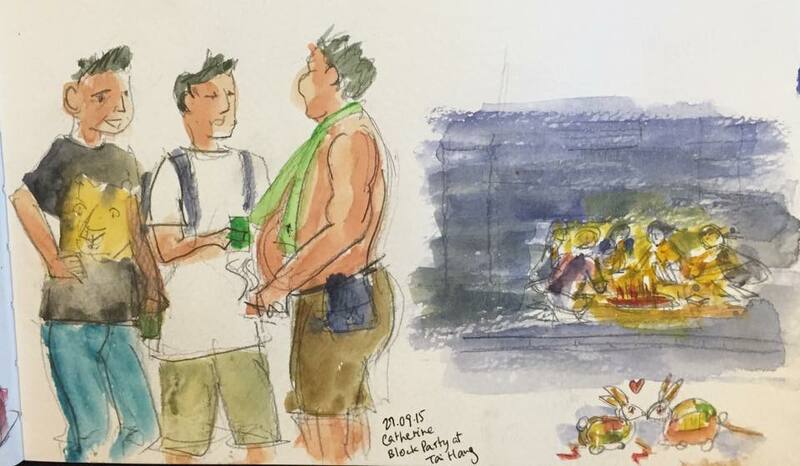 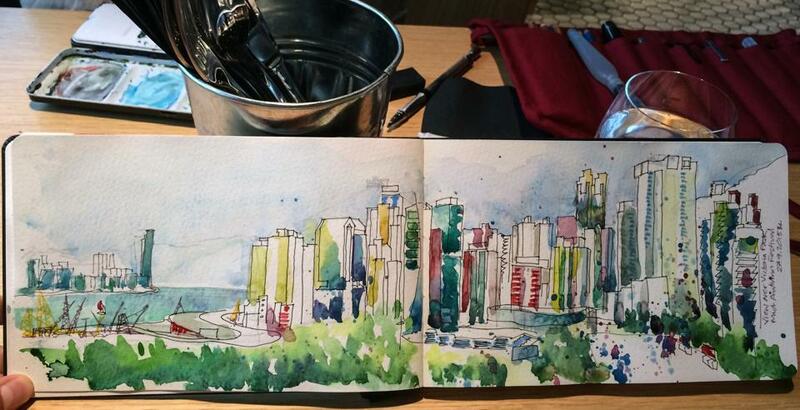 Urban Sketchers Hong Kong: A day in Causeway Bay - Fire Dragon Festival. 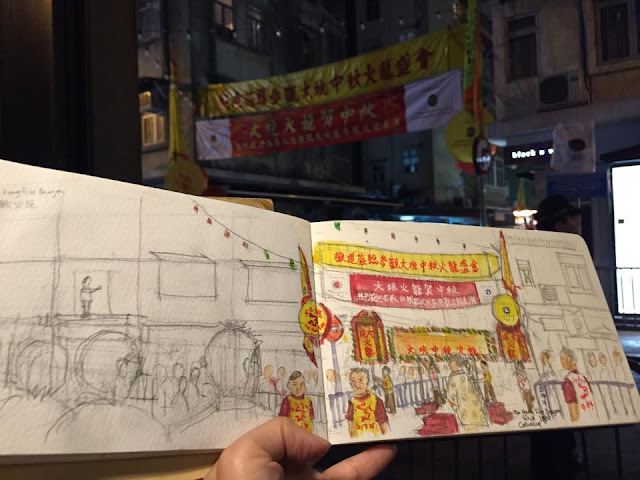 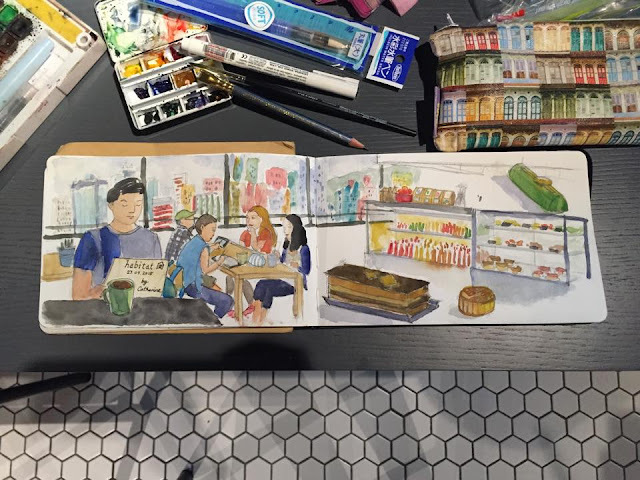 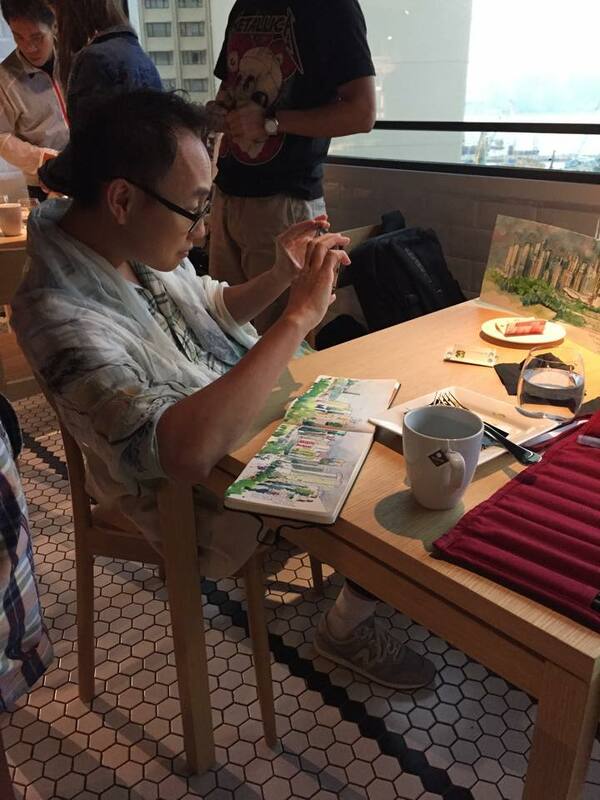 A group of our sketchers discovered a restaurant in Causeway Bay, the windows provided an awesome panoramic view of the Victoria Park, the largest park on Hong Kong Island. 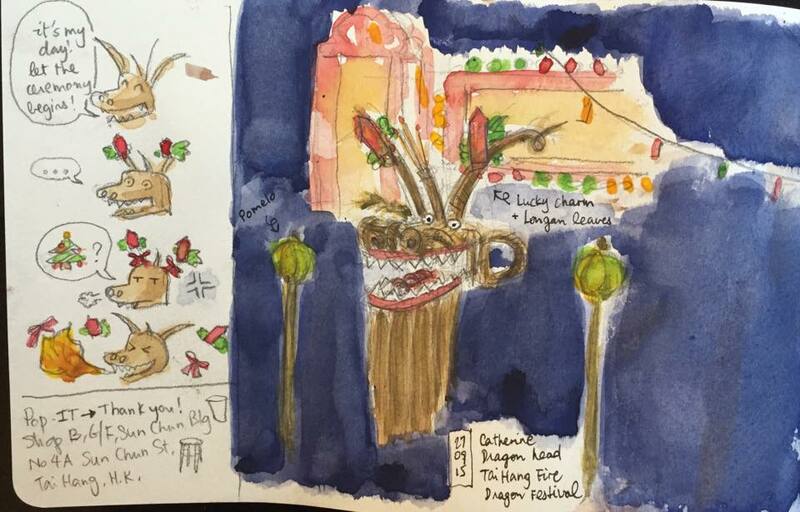 We began from the morning to the evening continue to participate at the Tai Hang Fire Dragon Festival nearby.